We on Fashion9one 1 are all for simple ingredients and pure flavour. It is easy to get resturant quality at home if you cook more “clean”, which means unprocessed and with fresh ingredients. This is the kind of dish that is loaded with vitamins and proteins and still feels and tastes like a fresh take on comfort food. 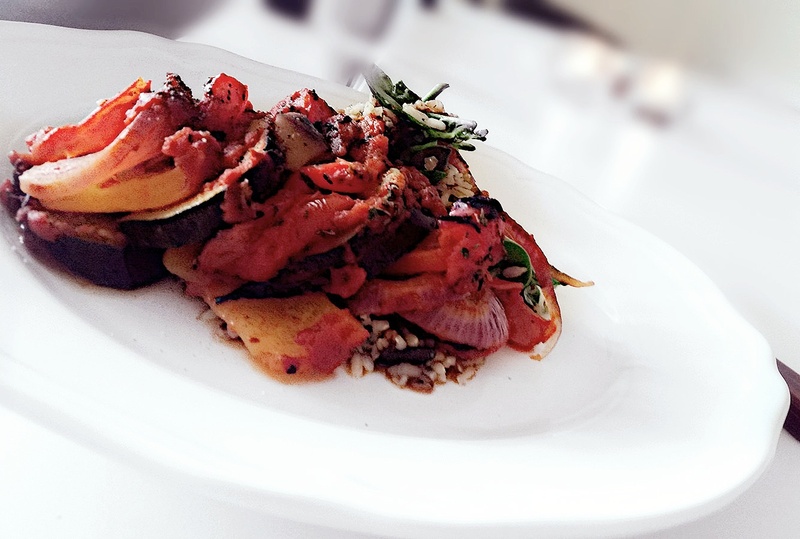 I love to cook Ratatouille, it is very rustic but yet elegant and elevated in flavour. I hope you enyoj this dish. prepere a ovenproof pan by sprinkle a little bit of olive oil in the pan. Heat up the oven to 200 degrees C. Rinse and slice the vegetables very thin and start layering them in the pan. Squees lemon over the vegetables and season with salt and pepper. Take your crushed tomates and mix it together wth the minced garlic and chopped herbs. Season and add a little pinch of chili flakes in it. Pour the sauce over the vegetables and pop in in the oven for about 30 minutes. In the meantime cook the graisn as the instructions on the package suggest. Serve with a dash of olive oil on top and some fresh herbs.